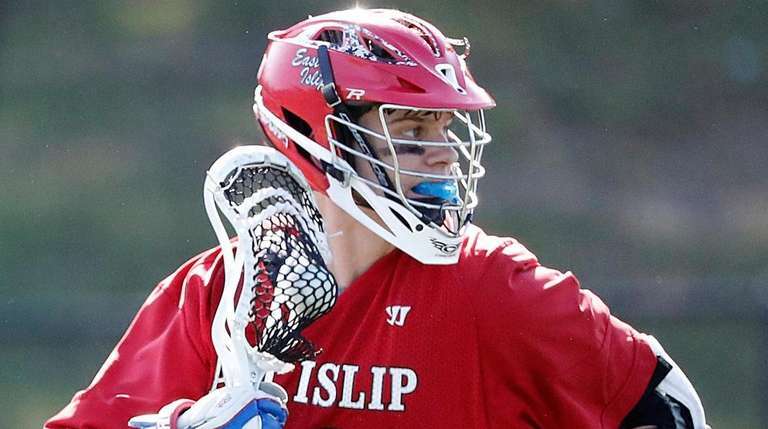 The coaches have spoken, and here's a compilation of Long Island's top 100 boys lacrosse players, listed in alphabetical order. You want some of Long Island's top goalkeepers? You want the top scorers on Long Island — the guys who know how to find the back of the net? Or you just want some lock-down defenders who make it hard to score? Well, they're all here. 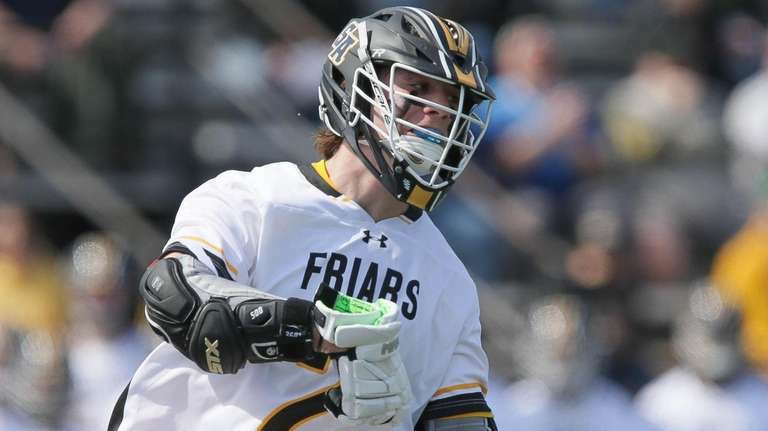 The coaches have spoken, and here's a compilation of Long Island's top 100 boys lacrosse players, listed in alphabetical order. Teddy Accardi, Rocky Point, A, Sr. – The team captain had 18 goals and 20 assists as a junior. Mike Alexander, West Islip, D, Sr. - He had 23 takeaways as a junior. Xavier Arline, Shoreham-Wading River, A, Jr. - The UNC commit recorded 49 goals and 50 assists as a sophomore. Edward Arnold, Manhasset, D, Sr. – He’s a strong defender and a ground ball machine. He is also an excellent shooter. He is committed to UPenn. Blake Behlen, Commack, A, Sr. – He scored 33 goals and added 48 assists as a junior to lead all scorers in Suffolk I.
Mikey Beil, Port Washington, M, Jr. – The midfielder is committed to Fairfield. Andres Betancourt, Patchogue-Medford, M, Sr. – He’s a quick-footed middie with shifty open-field moves and a capable finisher. 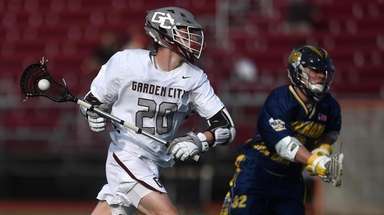 Dan Boccafola, Garden City, LSM, Sr. – A lockdown defender who consistently is assigned to the top midfielders on Long Island. Jake Bonomi, St. Anthony’s, A, Sr. – The Friars' captain, a fast and an athletic shooter, has 19 goals through six games. He’s committed to Michigan. Kenny Brower, Massapequa, D, Sr. – A great on-the-ball defender. He’s committed to Duke. Will Button, Bay Shore, A, Sr. – The Stony Brook commit prefers to facilitate, registering 83 points as a junior. Nick Caccamo, Harborfields, D, Jr. - He had 71 ground balls over the first seven games of 2019. Conor Calderone, Smithtown West, S, Sr. - The Maryland commit has won over 90% of his faceoffs this season. Greg Campisi, St. Anthony’s, LSM, Sr. - The Friars' captain is considered one of the best LSM on Long Island. He is committed to Harvard. Cory Capri, Glenn, A, Jr. - He had 14 goals and 56 assists as a sophomore. Anthony Carroll, East Islip, D, Jr. – The speedy lockdown defender also can carry the ball on the wing and create offense. Frank Ciniglio, Ward Melville, D, Sr. - The Cornell commit just recently was cleared to return after an injury. He is the leader of a stout Patriots defense. Justin Coppola, Garden City, M, Sr. – A faceoff specialist who won 78 percent of his faceoffs as a junior. Tyler Cordes, Connetquot, M, Jr. – A dynamic two-way middie and an exceptional scorer. He is committed to Navy. Kyle Craig, Wantagh, D, Sr. – He has superior stick skills and denies clean looks for shooters. Rich Cuite, North Shore, D, Sr. – He is one of the outstanding defenders in the clearing game. He’s committed to Sacred Heart. Vince D’Alto, Kings Park, A, Sr. – He is a lightning-fast senior attackman, who scored 34 goals and dished out 26 assists as a junior. Anthony DiMatteo, Wantagh, M, Jr. – One of the top faceoff men in Nassau. He is committed to Hofstra. Forrest Demetri, North Shore, A, Soph. – He had 24 goals, 25 assists and picked up 20 ground balls as a freshman. Ron Durante, Lindenhurst, G, Jr. – A rock in the net for the Bulldogs. He has superb hand-eye coordination and made 187 saves as a junior. Kevin Ehli, Smithtown West, D, Sr. - The senior defenseman is a strong one-on-one defender with the ability to shut down top goal-scorers. He is committed to Utah. Liam Entenmann, Chaminade, G, Sr. - The Notre Dame commit is the Flyers’ defensive leader, an excellent stopper between the pipes and a strong outlet passer. Dylan Gabriel, Center Moriches, A, Sr. -- The four-year starter has versatile skills and can play any position on the field including attack, faceoff specialist and midfielder. 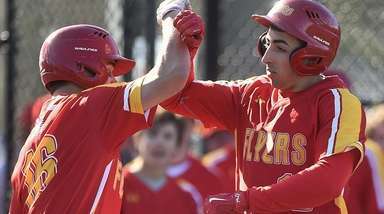 AJ Galassi, Port Washington, G. Sr. – He is a four-year starter for the Vikings. He is committed to Cornell. 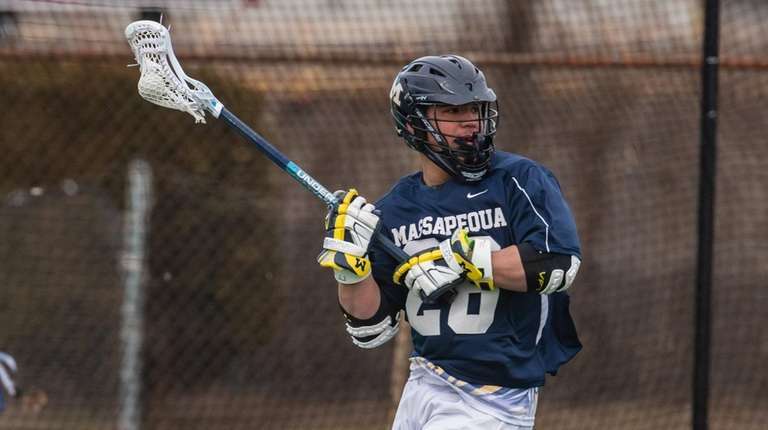 Garrett Gibbons, Massapequa, M, Sr. – The three-sport athlete scored 18 goals and had 18 assists as a junior. Kamryn Gill, Riverhead, A, Sr. – He has a knack for scoring with a quick release, scoring 48 goals as a junior. The three-year starter committed to Salisbury University. Colin Gleason, Massapequa, A, Sr. – Super tough around the net with a hard, heavy shot. He is committed to Siena. Chris Glynn, Manhasset, M, Sr. - He’s a two-way midfielder that can dictate the tempo. He is committed to Georgetown. Stephen Grabher, North Shore, A, Sr. – He had 41 goals, 22 assists and picked up 98 ground balls as a junior. 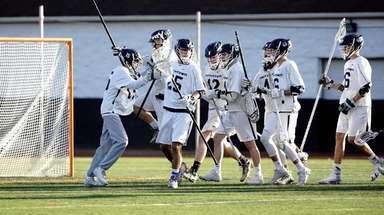 Reilly Gray, Chaminade, M, Sr. - A powerful dodger, the Notre Dame-bound senior can do a bit of everything on the field, whether it's scoring, setting up his teammates or playing defense. Chris Giulliani, Islip, A, Sr. - A sure-footed attackman who scored 48 goals and added 20 assists as a junior. Colin Hart, Garden City, D, Sr. – He was strong on ground balls and can cover any attackman in the country. Caden Hawkinson, Cold Spring Harbor, D, Jr. – He can switch and play long-stick midfield. He is committed to Michigan. Thomas Heller, Comsewogue, G, Sr. -- He finished with 156 saves as a junior. He is committed to Albany. Luke Hickam, Oceanside, A, Sr. -- He had 28 goals and 15 assists as a junior. Rich Hickis, Farmingdale, M, Sr. – A steady midfielder. He is committed to Hofstra. 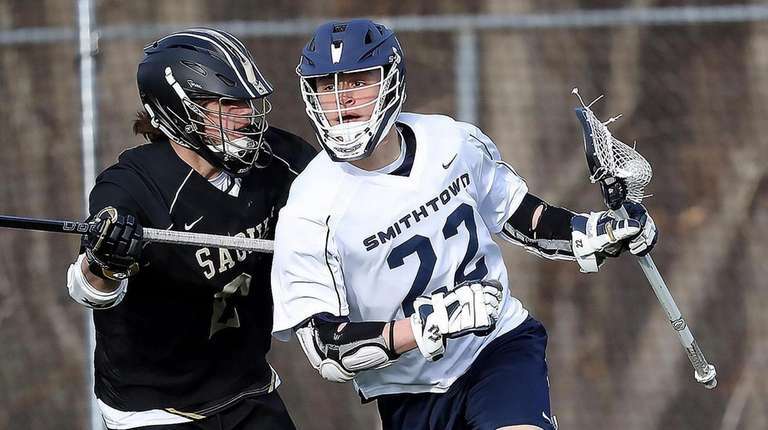 John Hoffman, Smithtown West, A, Sr. -- He recorded 21 goals and 18 assists over the first eight games of this season. He is committed to Providence. Ryan Huff, Eastport-South Manor, LSM, Sr. -- He had 62 ground balls, 13 goals and 12 assists as a junior. Adam Hyman, Middle Country, G, Jr. - He made 154 saves as a sophomore. Joe Juengerkes, Islip, M, Jr. – He finished with 40 goals and 19 assists as a sophomore. He is committed to Hofstra. Alex Keener, Bethpage, D, Sr. – A four-year starter and defensive leader with solid stick skills. Hugh Kelleher, MacArthur, M, Jr. - He led the Generals in scoring with 51 points as a sophomore. Mike Kelly, Floral Park, M, Sr. – He averaged two goals per game and finished the regular season with 28 goals as a junior. Joe Kiesche, Oceanside, M, Sr. – He scored 23 goals and had nine assists as a junior. Matt Knote, Eastport-South Manor, G, Sr. - He made 162 saves as a junior. Mitchell Kozak, Floral Park, A, Sr. – He had 33 goals and 18 assists as a junior. Collin Krieg, Ward Melville, G, Jr. – One of Long Island’s top keepers. Won first seven games of senior year allowing only three goals per game. He is committed to North Carolina. Max Kruszeski, Mattituck/Southold, M, Sr. – He scored 64 goals and had 22 assists as a junior. Karl Lacalandra, Comsewogue, D, Sr. - The four-year starter is a skilled takeaway player and brings a physical presence. Nick LiCalzi, South Side, LSM, So. – He picked up 88 ground balls as a freshman. Luke Marro, Southampton, M/A, Soph. - He is the team captain and had 20 goals and 15 assists as a freshman. He also led the team with 90 ground balls. Brett Martin, M, Half Hollow Hills East, Jr. – He scored 49 points as a sophomore. He is committed to Johns Hopkins. Max May, Hewlett, G, Sr. – The three-year starter had 164 saves in his junior season. Andrew McAdorey, St. Anthony’s, M, Soph. – He is the Friars' field general. Widely considered one of the top sophomores in the country. Jase McDermott, Deer Park, M, Sr. -- The three-starter is a versatile two-way middie who moves to the wing on faceoffs. Roy Meyer, Chaminade, M, Sr. - The longstick middie, who will head to Boston University next year, is an athletic defender with the ability to play in transition. Sal Miccio, Northport, A, Sr. - He had 47 goals and 16 assists as a junior. 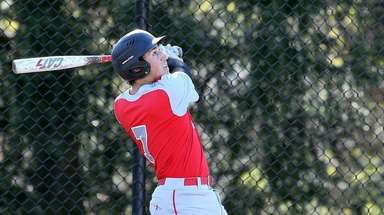 Jack Monfort, Syosset, M, Sr. – The four-year starter is the leader of the Braves' offense. Christian Mule, Half Hollow Hills West, A, Sr. – He scored an astounding 105 points as a junior. He is committed to Duke. Aidan Mulholland, Manhasset, M, Soph. – He totaled 32 goals and 12 assists as a freshman. Kyle Munson, Calhoun, G, Sr. – Active keeper who stopped 64 percent of the shots on him. Max Napoli, Northport, M, Sr. – An athletic midfielder who can play on both ends of the field for the Tigers. Jake Naso, St. Anthony’s, FO, Jr. – One of the top faceoff specialists on Long Island. He is committed to Virginia. Michael O'Connell, Chaminade, M, Jr. - A multi-sport athlete with the ability to get around defenders and find the back of the net. He is committed to Maryland. Brennan O’Neil, St. Anthony’s, A, Jr. – Widely considered the top junior in the country and is an adept scorer and playmaker. He is committed to Duke. Patrick O'Neil, Ward Melville, LSM, Sr. - A leader on defense who has been a key to the Patriots' 7-0 start. Connor O’Reilly, St. Anthony’s, D, Sr. – The anchor and captain of the defense. He is committed to Georgetown. 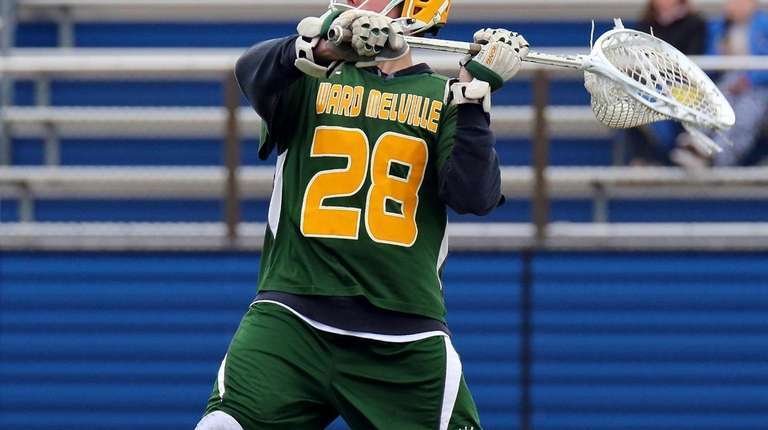 Dylan Pallonetti, Ward Melville, Attack, Sr. - The senior had 53 goals and 21 assists as a junior to lead Ward Melville to a second straight Class A state title. Dylan Pape, West Islip, FO, Sr. – He was a skilled attackman but molded himself into a superior faceoff man. Jared Paquette, West Islip, G, Sr. – He made 132 saves as a junior. Danny Parker, St. Anthony’s, A, Sr. – An athletic playmaker with tremendously quick feet. Missed most of 2018 with a hamstring injury. He is committed to Virginia. Louis Perfetto, Manhasset, A. Sr. – A quarterback from the attack position with great field vision. Angelo Petrakis, Massapequa, FOGO, Sr. – He won 85 percent of his faceoffs and grabbed 115 ground balls as a junior. He is committed to Cornell. William Pickett, South Side, A, Jr. – He scored both goals in a 3-2 overtime loss to Garden City in last year’s Nassau finals. 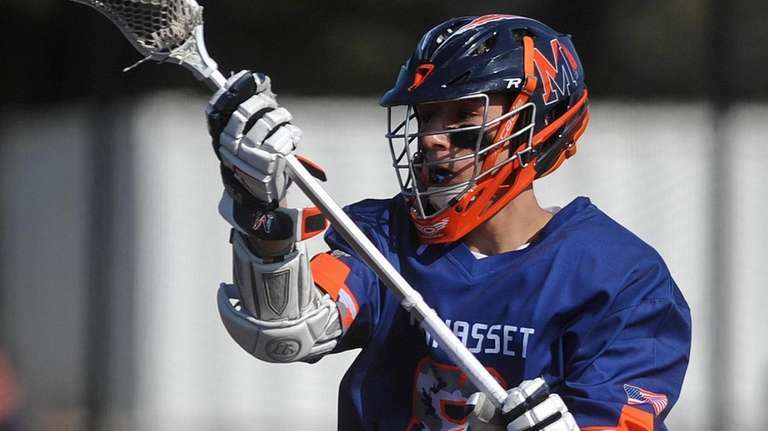 Marc Psyllos, Manhasset, M, Jr. – A ground ball threat who is a force in the midfield. Chrstian Quadrino, Sachem North, A, Jr. – He had 45 goals and 40 assists in his first two seasons for the Flaming Arrows. Wyatt Reksten, Patchogue-Medford, M, Sr. – A big-time bruising midfielder who clears the crease and can shoot from a long distance. 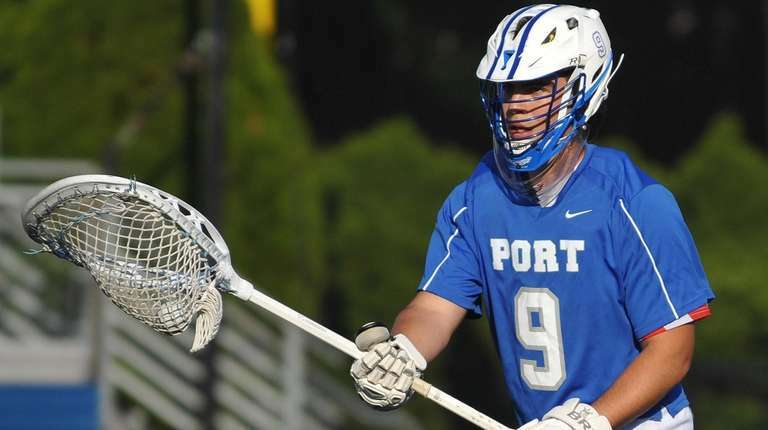 James Ringer, Bayport – Blue Point, M, Sr. – A two-way middie with speed. He is committed to Rutgers. Thomas Rogan, Chaminade, A, Sr. - An athletic playmaker who can find the back of the net with ease, the Dartmouth-bound attack is the spark behind the Flyers’ offense. 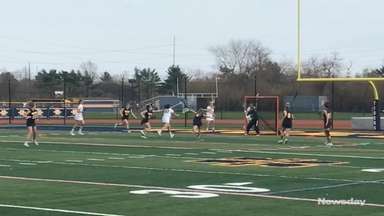 Sam Rovner, Hewlett, A, Sr. – The four-year starter scored 51 points as a junior. Tyler Sandoval, Chaminade, FOGO, Sr. - The Princeton commit boasts quick hands and and athletic-mindset and is able to get the ball to his teammates and score off the faceoff if necessary. Tom Sangiovanni, Harborfields, M, Sr. – He scored 29 goals and added 17 assists as a junior. Rob Sarraga, Bay Shore, A, Sr. – He is the Marauders' finisher and can score from all over the field. Jack Schirtzer, Shoreham-Wading River, LSM, Jr. – He forced numerous turnovers as a sophomore. He is committed to Maryland. 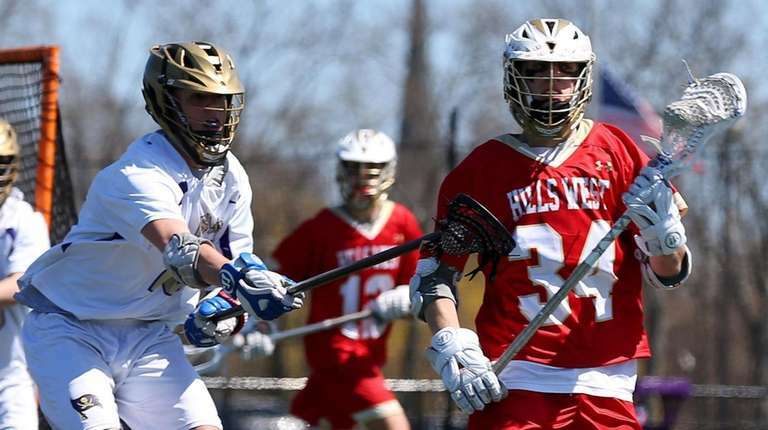 John Sidorski, East Islip, A, Sr. – He had 102 points, including 57 assists, to make him the third-highest scorer in Suffolk in 2018. He is committed to Lehigh. Frank Smith, Locust Valley, A, Sr. – The four-year starter had 47 goals and 27 assists as a junior. Joey Spallina, Mount Sinai, A, Fr. - He had 86 points and was named Suffolk II Rookie of the Year as an eighth-grader. Zander Stapleton, Port Washington, M, Jr. – The two-way midfielder is committed to Boston University. Dan Striano, Cold Spring Harbor, M, Sr. – He is extremely quick and versatile in the midfield. He is committed to Providence. Rich Striano, Cold Spring Harbor, M, Jr. – He is a very physical player who also can play attack. He is committed to Bucknell. Colton Teitelbaum, Locust Valley, G, Sr. – A top goalie with 121 saves as a junior. He is committed to Loyola. Nick Teresky, Wantagh, A, Jr. – He is quick in the open field and a playmaker. He is committed to Rutgers. Justin Tiernan, Glenn, A, Sr. – He had 78 goals and 33 assists for 111 points as a junior. Cooper Trepeta, Locust Valley, M. Sr. – He scored 26 goals on 87 shots and picked up 50 ground balls as a junior. Nick Turrini, Calhoun, A, Sr. – He scored 56 goals and had 19 assists as a junior. Ben Weinberg, Jericho, M, Sr. – He scored 52 goals and had 25 assists as a junior. Trevor Yeboah-Kodie, Garden City, M, Sr. – He had three goals and an assist in the Nassau Class A title game. Aidan Danenza, St. Anthony’s, M, Jr. – His athleticism and vision running the field allows him to be a two-way player. He is committed to Duke. Jack Krisch, Huntington, A, So. – He is a fundamentally sound north-and-south dodger and a consistent offensive presence. Kevin Leon, Bethpage, M, Sr. – A four-year starter with a powerful lefty shot. Quinn O'Hara, Whitman, M, Sr. -- He is a big two-way middie with great field vision, and will be able to control the game. Committed to Binghamton. George Panagopolous, Friends Academy, D, So. – A highly-regarded tenacious defender. Patrick Schnell, Jericho, A, Sr. -- He scored 65 points and helped Jericho turn a 1-11 season in 2017 into an 11-1 record in 2018. Committed to Tampa.